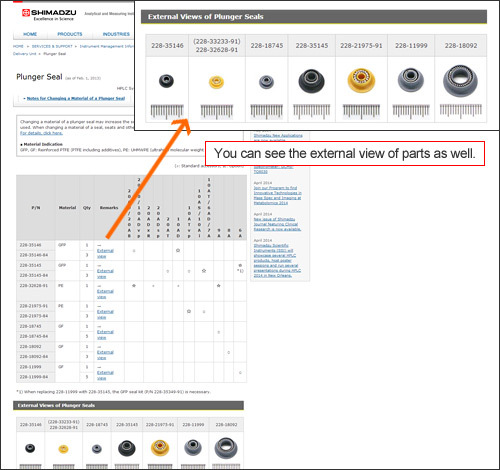 With the new Easy Parts Lookup you can now easily find the appropriate consumables for your Shimadzu instrument. Those consumables are specified to guarantee the best fit for our instrumentations, doesn´t matter whether you are looking for Chromatography, Mass Spectrometry, Spectroscopy or TOC instruments. Just register for free on our website, start browsing and find the right accessory for your Shimadzu system. Or click on one of the product headlines below, sign in to access directly corresponding consumables information. For Research Use Only. Not for use in diagnostic procedures. This page may contain references to products that are not available in your country. Please contact us to check the availability of these products in your country.